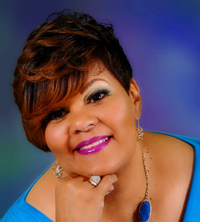 Please join me in welcoming author Colette Harrell to Conversations today! Colette is here to talk about her new book, Tell The Truth The Devil Won’t! So, check out the cover, blurb and excerpt below. And don't forget to check out her interview too, and get to know Colette Harrell! 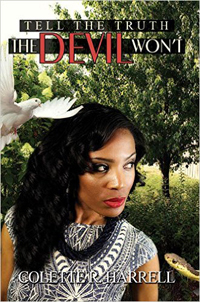 The full-figured Esther Redding doesn’t realize it, but she desperately needs a change. Her Cinderella tiara is tarnished, and her glass slippers cracked. No longer any one’s knight in shining armor, Briggs Stokes always had a soft spot for Esther. She was in his blood, and he didn’t want a transfusion. When he returns to Detroit, he decides that nothing will keep him from her door. Well, nothing . . . but the once reformed bad girl, Monica Stokes Hawthorne, Briggs’s ex, who wants to be his—give me one more chance, again—wife. The resulting tug-of-war that ensues may be the catalyst that destroys the person they both love the most. When truth is held hostage by lies, mayhem ensues. And when it does, the lives of Esther, Briggs, Monica, and Roger are forever changed. Don’t blink—pray—these shenanigans are too shocking to miss . . . The second stand-alone book in the Heaven over Hell trilogy. When I can stay in the moment. It gets hard sometimes, you know? But, if I can just sit and enjoy the journey, take solace in a perfect slice of time, I get elated. And then I catch myself and I stop and say, "I’m not worried about tomorrow. Bills are paid, no one’s in trouble or sick, and people’s opinions are far away." . . . that makes for a golden, happy, satisfied sigh. 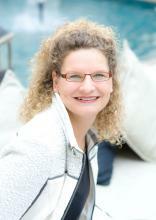 Please join me in welcoming the author of sweet sophisticated romantic fiction and entertaining mysteries, Beate Boeker! 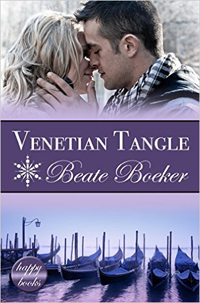 Beate is here to talk about her Christmas Romance stories, Venetian Tangle, Gingerbread Kisses, and Stormy Times. 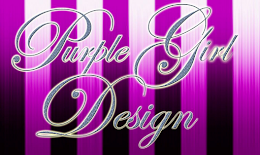 So be sure and check out the covers and blurbs below! And don't forget to check out her bio too and get to know Beate. Lorena doesn't believe in supernatural things, but one night in December, she feels the sudden presence of her ex-lover Guido in her apartment . . . even though he should be miles away. When she learns that Guido died the night he came to „see“ her, she's perturbed. Did Guido try to tell her something? 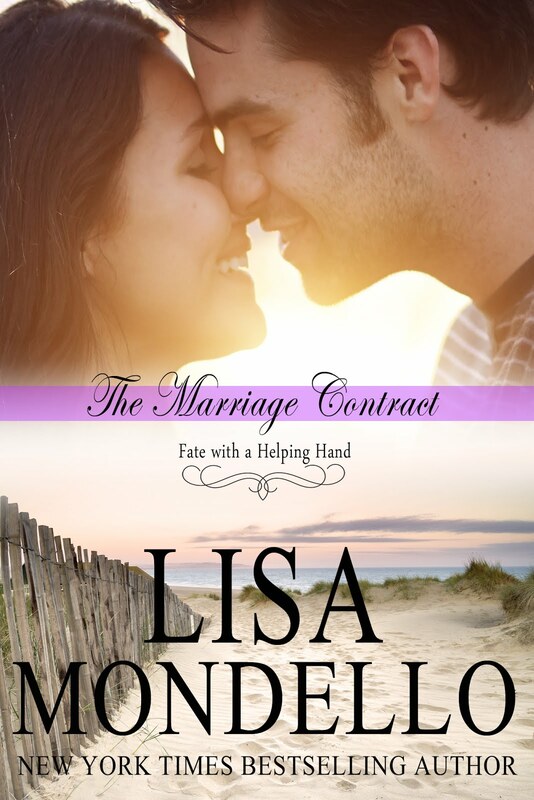 To find out more, she decides to spend Christmas at the place where they fell in love ten years ago: Venice in Italy. With no clear plan in her mind and a very hazy idea how to deal with a ghost, Lorena stumbles into a tangle of romance and confusion in the ancient city of Venice. She has to learn a lot about herself and her old relationship to Guido and has to fight for the man she loves before she can finally be happy. This contemporary sweet romance will plunge you into the heart of mysterious and foggy Venice during Christmas time, entertaining you with a delicious mix of humor and romance. Carol spends Christmas at the luxurious Hotel & Spa "Dolomitissimo" in the snowy Alps of Italy where she's busy creating gingerbread men as name cards for her younger sister's wedding. When things start to go wrong, she finds help in the form of Tom, the attractive hotel manager, but then, her sister manages to create havoc and Carol has to fight for her happiness. 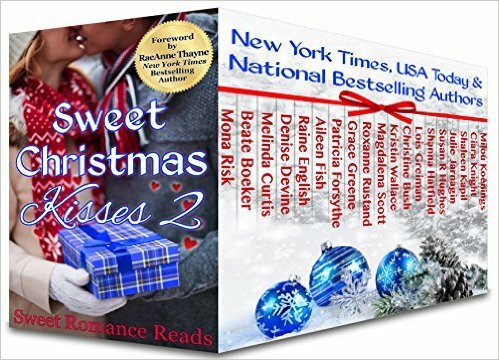 Sweet Christmas Kisses 2 takes you from the Smoky Mountains to Florida’s sun-drenched beaches, from the Italian Alps to Paris, France, and even to a quirky little town in Arizona. 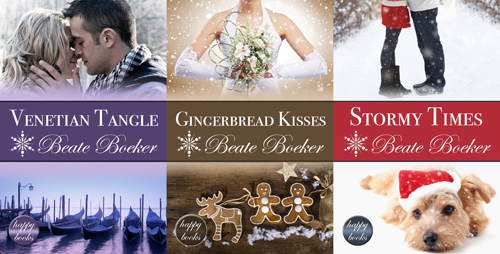 The Sweet Christmas Kisses 2 bundle features all-new, stand-alone stories that are sure to make you laugh, sometimes bring tears to your eyes, but always put you in the Christmas spirit. Joanna is going through a hard time: Half a year ago, her beloved dog died, and two months later, she separated from her fiancé because he cheated on her. Now she works like a demon in her job as a Vet to forget her feelings. Returning from a difficult foaling in the middle of a late November night on Long Island, she gets stuck in an early blizzard. With her last ounce of strength, she manages to reach a house, but the man who gives her shelter for the night treats her like an unwelcome disease. As she has no choice, she adapts to his rough manners by being impolite herself. 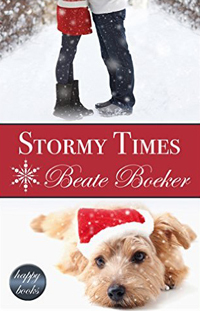 Sparks fly, and the night ends with a rescued puppy and a power failure, but this is only the beginning of her troubles in this heartwarming holiday romance. 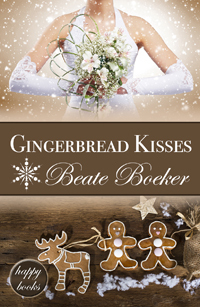 Beate Boeker is a USA Today bestselling author with a passion for books that brim over with mischief & humor. She writes sweet sophisticated romantic fiction and mysteries, many of them set in beautiful Italy. Her novels were shortlisted for many awards (Golden Quill Contest, the National Readers' Choice Award, 'Best Indie Books of 2012'). She's a global marketing manager with a degree in International Business Administration, and her daily experience in marketing provides her with a wide range of fodder for her novels, be it hilarious or cynical. Widely traveled, she speaks German, English, French, and Italian and lives in the North of Germany together with her husband and daughter. While 'Boeker' means 'books' in a German dialect, her first name Beate can be translated as 'Happy' . . . and with a name that reads 'Happy Books', what else could she do but write novels with a happy ending? Please join me in welcoming author Eno Esquire to Conversations today! 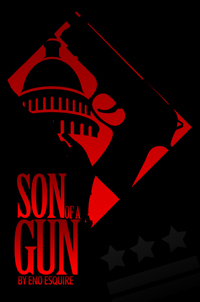 Eno is here to talk about his new book, Son of a Gun! So, check out the cover, blurb and excerpt below. 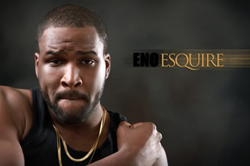 And don't forget to check out his interview too, and get to know Eno Esquire! “You get it T, I’m fixing Justeen something to eat,” Berretta yelled. “I'm on the toilet,” T shot back putting some base in his voice. “Damn,” Berretta said to herself as she put the bacon on low and cleaned her hands on the apron. She opened the drawer beside the stove and removed a chrome .25 and cocked it. She then placed her hand in the apron pocket still gripping the pistol as she walked to the door. “Who is it?” Berretta asked looking through the peephole. “Its Black,” the voice on the other side answered. Berretta took the chain off the door and cracked it. “Whatchu need?” she stated coldly. “You got some herb?” Black asked. “Yea. How much you want?” Berretta asked looking behind him for a possible robbery attempt. At the time I was locked up and did a lot of reading, it was a guy named show boat from North Carolina who had published a book from the feds so that pushed me to write one. Is your novel fiction or nonfiction? It was cool gave me a unique experience on the world. I stayed in a housing project couple blocks from capitol hill. You have a few Nigerian characters in your book, what's the connection? Yea I wrote this book for Author Cappers and the whole Surelere. Eno Esquire is an author born and raised in Washington DC to a Nigerian father. His mother is of Greek and Native descent. When Eno was 17 he was convicted as an adult for a crime and sent to federal prison for several years. While in prison he wrote his first novel, Son of a Gun. DAKOTA HOMECOMING, is now available for pre-orders! 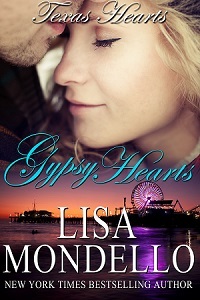 GYPSY HEARTS now available on all major retail sites! 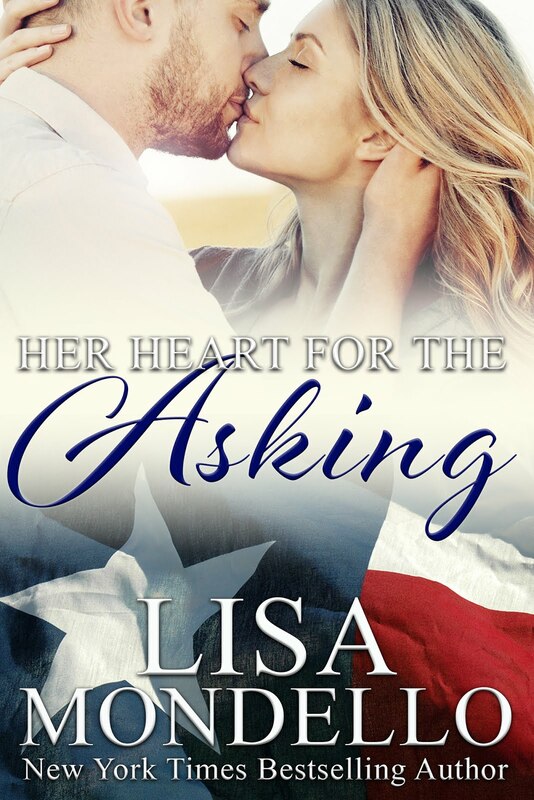 Texas Hearts fans, the book that readers have been asking about, GYPSY HEARTS, book 4 is now available! Readers have been asking me when this book was finally going to be available somewhere other than Amazon. After years of recording commercials, Josie Tibbs longs to get back into the music industry. But the sound recording engineer had traveled that road once before and crawled back home with a broken heart. Wary of any man in the music business, she longs for a steady man and a great recording career. Brock Gentry lived for the music and so became an extraordinarily talented country singer. On the fringes of success, he's ready to take his chance and go on the road to Nashville. But he and the recording company clash over his image among other things. Hoping to find the right sound mixer he seeks out Josie Tibbs after hearing of her work with another country singer who's hit the big time. Although she wants nothing to do with him romantically, he wins her over professionally and she decides to come on the road with his band. Together they blaze a trail to Nashville, her cat in tow, in the close quarters of life on the bus with the rest of the band. Despite the obstacles of life on the road, Brock and Josie find they can't keep their feelings from each other. But Josie's been through this before and knows the dogs of the music industry can bite hard. 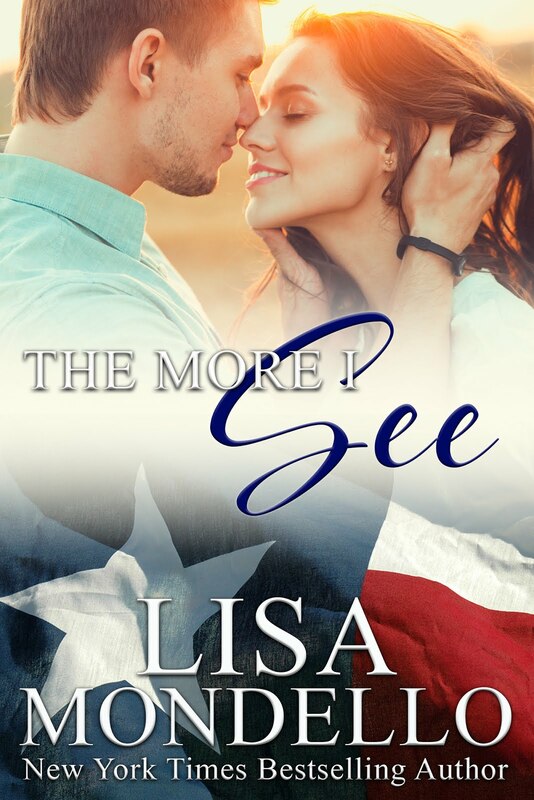 As they make it closer to Nashville, she fears a chance at success could spell the end of their love.